He also recorded for ECM records (with Mal Waldron) and the label "Enja Records" (with a.o. Karl Berger and Albert Mangelsdorff). Allen Blairman is not just an incredible drummer, but also arranger and composer. For many years he wanted to do an album with his original tunes. 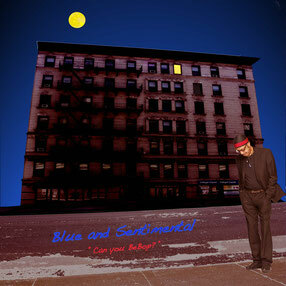 This CD features five of his own songs, with Allen also doing all the vocals and programming of the beats and Olaf Schönborn playing saxophone and keyboards. Five songs, five stories in wonderful flowing grooves. For more than 15 years Trio Variety has been touring all over Europe - but somehow they never got together in a recording studio. There are, however, many recordings done live in their practice room, a former chicken shack out in the fields (remember Jimmy Smith?) and in Allen Blairman's living room. Some of these will be published here in a series of CDs giving you an intimate live experience of the trio's energy , their groove and the spontaneity in their improvisation . 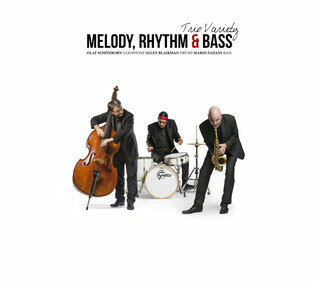 As the band name suggests, Trio Variety is crossing all the stylistical boundaries: from swing to funk and soul, from beautiful standards to unknown treasures and pop songs, from straight ahead to open and free. Come along on their musical journey - all you need is an open mind! Enjoy! 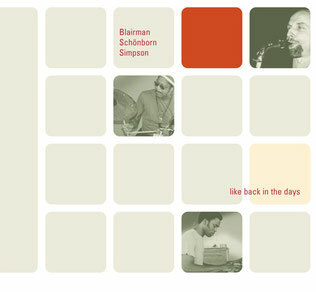 It’s this last legendary name that has the most resonance for this collection, as we find Blairman returning to his roots in an organ trio, featuring fellow American James Simpson on the Hammond B3 and German saxophonist Olaf Schönborn, blasting through nine cuts—recorded in one day—with an infectious, honest, unpretentious energy and passion....Highlight of the album is Reuben Wilson’s hard-driving, acid-jazz classic “Orange Peel”, delivered with such verve that it could probably fill any dance floor even today.